An ever-increasing attention on service animals is resulting in a great deal of confusion, among employers and employees alike. Here's what the law actually says about service animals in the workplace. How to talk salary without asking about salary history. What does the Equal Pay Act say and what does it mean for employers? Hawaii criminal background check law is among the most protective in the nation. It’s also a potential minefield for employers. 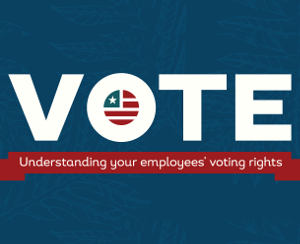 Critical information for Hawaii employers about employee voting rights and how to minimize workplace disruptions while encouraging civic engagement.